*$10 Stanford student admission, otherwise it's $30. Free admission for kids under 5. The famous Asha Stanford Holi Celebration returns in 2019 for a two-day celebration of colors, music, dance performances and food. 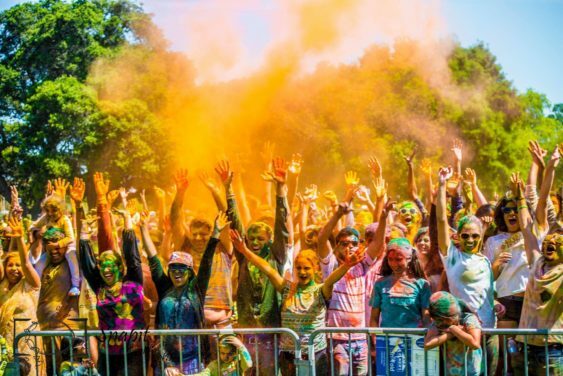 Get unlimited colors for the color fight and enjoy hip shaking music as you join the biggest celebration of the Indian Spring festival in the Bay Area. The festival brings together a unique cultural experience with more than 5000 lbs of food-grade colors over two fun filled days on April 20-21, 2019. Tickets for this year’s event will be released on Wednesday, March 27th at 9am, 12pm, and 3pm. If this is your first time at Asha Holi, do read their site to learn how Asha Holi works. There’s free parking, but spots are limited, so please carpool. This event will take place rain or shine. Net proceeds from this event will go towards funding education projects for underprivileged children in India.